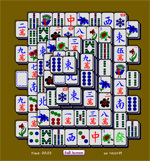 Welcome to Online Majong Solitaire.com, your number one stop on the web for all your mahjong solitaire needs, 100% free with no download required. 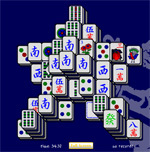 Your Mahjong tile game will begin with a board of carefully laid out tiles. The object is to match tiles to make them disappear, and eventually clear the entire board of all the tiles. Sometimes, though, if you don't choose the right path, you may be left with no more available matches, in which case the game will indicate to you there are "no more matches". 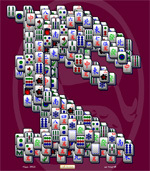 Online Mahjong Solitaire.com helps with your game by shading the tiles which are currently unplayable and highlights those that are when you hover over them. Clean, bold tiles are easy to see and fun to play with. 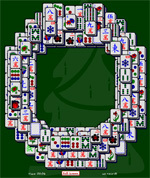 Try our multiple mahjong boards and our various holiday themed mahjong games for an extra challenge. Or just play over and over again to achieve the ultimate best time!